Highlights from the QSR Media Detpak Conference and Awards. 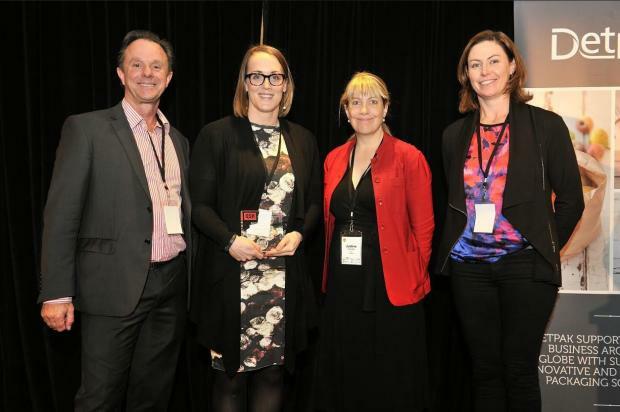 Held last July 22 at the Hilton Hotel, Sydney, the QSR Media Detpak Conference and Awards 2015 cooked up an exciting program for attendees filled with excellent topics, and informative speakers and panel members. Industry leaders attended the conference and spearheaded sessions on Leadership, the Evolving QSR Landscape, Customer Experience, the Digital QSR, the Ethical QSR, and Taking your QSR brand overseas, among many others. Some noteable speakers and panelists who attended the sessions include Luke Baylis, Chief Executive Officer of Sumo Salad; Serge Infanti, Managing Director of Foodco Group; Clovis Young, Founder of Mad Mex, Stephen Walters, Chief Economist J.P. Morgan; Tom Potter Founder of Eagle Boys Dial-a-pizza; among many others. Simultaneously, QSR Media also recognized and celebrated the very best of the Australian quick service and fast casual restaurant industry at the QSR Media Detpak Awards held on the same day.